Lancaster, Ohio – Kathryn Cornelius-Blume has joined Dagger Law where she’ll focus on criminal defense, juvenile law, and general civil litigation. 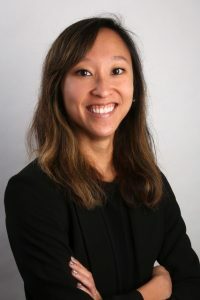 Prior to starting in private practice, Cornelius-Blume was a staff attorney at Southeastern Ohio Le gal Services where she practiced all areas of civil litigation. She found her passion for litigation while in law school and gained valuable first-hand experience as a certified legal intern at the Legal Aid Society of Southwest Ohio. She was also a law clerk at Gerhardstein and Branch Co. LPA and a judicial extern for Justice Sharon Kennedy at the Ohio Supreme Court. Cornelius-Blume received her a bachelor’s degree in psychology and history from the University of Pittsburgh. She received her law degree from the University of Cincinnati, where she was the senior article editor of Human Rights Quarterly. She is actively involved in the community serving the Fairfield County Pro Bono Clinic, Fairfield County Domestic Relations help desk, Legal Aid Society of Columbus Fresh Start Clinic, Ohio Domestic Violence Network Pro Bono Attorney and Asian Pacific American Bar Association of Central Ohio. Cornelius-Blume is also a member of the Ohio Association of Criminal Defense Lawyers, Fairfield County Bar Association, Fairfield County Women’s Bar Association and Hocking County Bar Association.